I have taken up my project called Pawn, inspired by that chess piece that has the lowest rank in an army that seeks to defeat another in this strategy board game. The game aims to solve puzzles with the character who from my point of view looks like a pawn, at least in his round head. Where you will have to find out how to open a door and things like that. 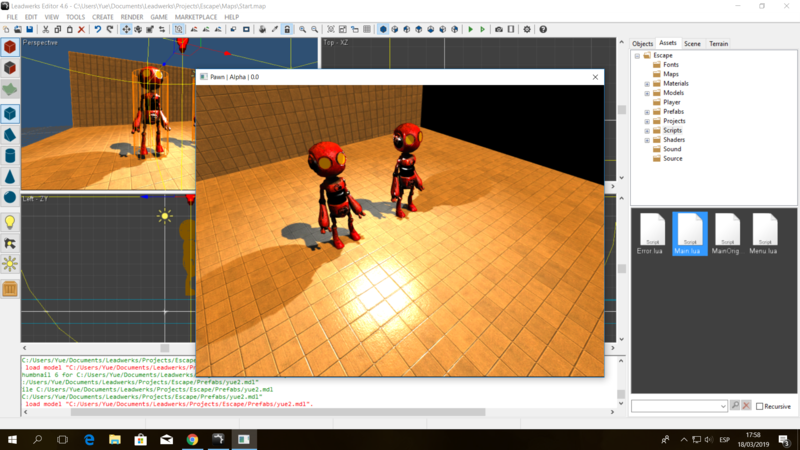 At the moment the mesh has no animations, and will have them in the future, for now I'm going to focus my efforts on creating a camera that follows the player in third person, and then work on the animations of the character. That's all for now, we'll see each other every other day to see the progress, if I don't publish anything, it's that day I haven't done much, although everything I try to do will always be an adventure.